Woodlands-based Opexa Therapeutics Inc. has been announced as the recipient of the “Top 10 Advanced Therapy Projects to Watch” award for the second consecutive year by Elsevier Business Intelligence. Opexa’s CEO and President Neil K. Warma will present a company overview at the Therapeutic Area Partnerships meeting on November 19-21, 2014. 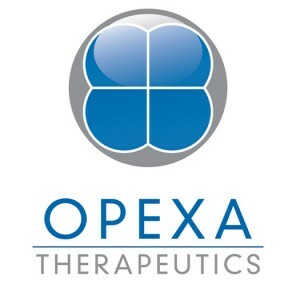 Opexa is a bio-pharmaceutical company focused on developing personalized immunotherapies to treat autoimmune disorders such as neuromyelitis optic (NMO), multiple sclerosis (MS) and others major diseases. Their lead drug candidate is Tcelna® (previously known as tovaxin), a personalized T-cell immunotherapy currently being tested in a Phase 2b clinical program for the treatment of Secondary Progressive MS. Tcelna is developed from isolated T-cells that are reintroduced into patients, thus triggering a strong immune response against T-cells that attack myelin. Mr. Warma added that Opexa was honored for being chosen by Elsevier and for the second year in a row as one of the top ten advanced therapies. Warma believes that this award and recognition is the result of potential of Tcelna®’s potential to treat secondary progressive MS — a form of Multiple Sclerosis that still has major unmet therapeutic needs — as well as other potential indications.